Maharashtra is leading Industrial hub and contributing majorly in growth of Indian economy. Manufacturing, mass media, international trade, petroleum, tourism, fashion, apparel and aerospace are major industries in Maharashtra. According to current economic indicators, it is one of the wealthiest states in India. It is referred as financial and commercial capital and serving as economic hub of India. Mumbai contributes a lot in foreign trade and hub of economic activities. The fortune 500 companies have offices in Mumbai. Mumbai is home for India’s largest consumer packaged goods companies like HUL, Procter & Gamble, Nivea, Colgate-Palmolive etc. It is India’s leading financial and commercial city. The major contributing factor for city economy are gems & jewellry, IT and ITES, Entertainment, Textile, Finance and Jewellry. It is mainly operating into information technology industry. The port and shipping industry is also well established in Mumbai. Industrial activity in state is concentrated in four districts: Mumbai city, Mumbai suburban district, Thane and Pune districts. Headquarters of a number of Indian financial institutions such as the Bombay Stock Exchange,Reserve Bank of India, National Stock Exchange, the mint, as well as numerous Indian companies such as the Tata Group, Essel Group and Reliance Industries are located in Mumbai. Advertising & Media – Zee Entertainment Enterprises Ltd, DDB Mudra Group, Bates CHI & Partners, BPN India. Chemical– Aarti Industries Ltd, Pidilite Industries Ltd, UPL Ltd, Excel Corp Care Ltd. 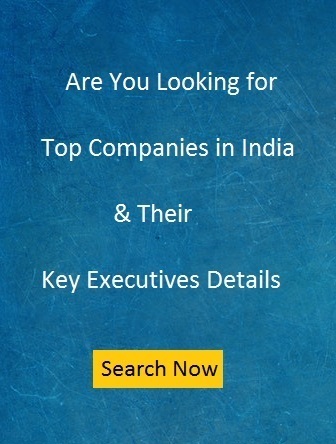 Consulting – 21st Century Informatics, AHS Hospitality India Pvt Ltd, Antal International Ltd, Cedar Management Consulting. Chemical -Garware Wall Ropes Ltd, Cordstrap India, DSM India, K-Flex India, Yara Fertilizers. Electronic giant videocon has manufacturing facility in Aurangabad. Company manufactures wide range of home appliances. It major silk and cotton textile production center is located in Aurangabad. Construction & Infrastructure – Artefact Projects, Goverdhan Group, SMS Ltd etc. Kohlapuri Chappals are popular all over the India. It is also center for other handicraft products including wood craving, hand block printing of textiles etc.